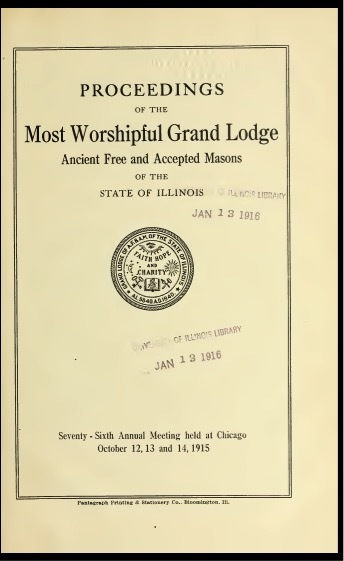 One evening last year, I discovered that Illinois Grand Lodge Proceedings for the years 1870-1922 were available for download as PDFs, and I spent some happy time doing just that, with no earthly idea what I was going to do with them. This morning I decided to see what was going on in Illinois 100 years ago, just to see what struck me. With Brother Henry T. Burnap, Most Worshipful Grand Master, presiding, prayers were offered for the Great War in Europe, but most business was such as we might see today, although the numbers were different. There were seventy-six Grand Lecturers commissioned that year. 10,747 Master Masons were raised, with a net increase for the year of 7,366, bringing the total number of Master Masons in Illinois lodges to 139,271. Attention was paid to the large number of dispensations given in the preceding year to lodges that just hadn’t gotten around to installing officers within the newly required thirty-day window from election. No doubt things would improve when the lodge secretaries got used to the change, but that didn’t stop some brethren from sending a letter to the Grand Master to ask if they could just go ahead and ignore the regulation for now. The answer was no. Much space and many photographs were given to the new Royal Arch Masonic Hospital at the Illinois Masonic Home in Sullivan, Illinois, which was built to meet a growing need. 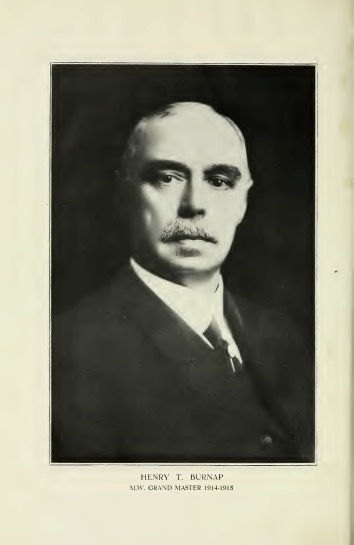 Eleven lodges were issued replacement charters. Nine had been lost when the lodge building burned, one was so sun faded it could no longer be read, and another had been eaten by mice. The ones lost by fire were replaced at no charge, while the other two were issued for five dollars each. The Grand Communication doesn’t last for three days, and it isn’t held in Chicago. There isn’t anyone left alive who fought in the First World War, the Masonic home was sold a few years ago, we aren’t raising nearly as many Masons as we used to, and none of the lodges issued a replacement charter still exists. It would be easy to mourn and to dwell in the past, and I know some of my Brethren do, even for the way things were ten years ago, never mind 100. There’s no point to it. Each of us is obligated to preserve our ancient landmarks sacred and inviolate, and everything else is negotiable. Change is inevitable, and holding on to the past for its own sake is not creative, but destructive. The Masonic home was sold because it no longer met the needs of Illinois Masons (there aren’t many Masons from Chicago who want to retire to Sullivan, no matter how nice a town it is), and a new program to assist Masons where they live was created. Population shifts cause some lodges to die and others to grow. 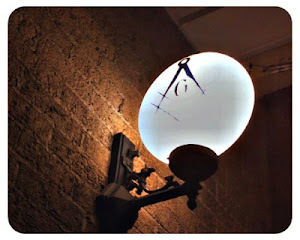 We now take care of Grand Lodge business in a day-and-a-half (believe it or not, the number of introductions has decreased a lot, and everyone I know thinks that’s a good trend), and we meet in Springfield, which is far more centrally located. Some things don’t change, to be sure: lodges still wonder if they really have to follow Grand Lodge directives, and the answer is always yes, they really do. But, as we near the 300th anniversary of the creation of modern Freemasonry, it’s worth remembering that only the essence of the Craft is eternal. Our ancient landmarks are the touchstone for how we live our lives. Everything else is mutable, and as long as we consider things in relation to what is eternal, we will be able to embrace change. 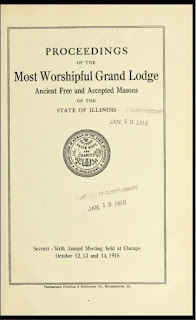 The brethren who met in Chicago in 1915 would doubtless be surprised, perhaps shocked, were they to come to the Grand Communication in Springfield in 2015. The barcode scanners we use to check in with our dues cards would probably cause a few coronaries, and they’d surely wonder why all the smokers were milling around outside. Soon enough, however, they would recognize that that the ancient landmarks have been carefully preserved, and that by them we recognize one another as just and upright Masons. That, I would argue, is what truly matters.